When you look at your phone, you probably think about spending money rather than making it. Your handset almost certainly cost you a pretty penny, whether in up-front cost or on-going monthly payments. Thankfully there are plenty of apps to be found in the Google Play store which can help you recoup some of the costs. We’ve tried some of these apps and chose only one to present to you today, the one that really got our attention. What Exactly Is DA Rewards? The app that we’re talking about is called DA Rewards, now available for all Android phone and tablet users. It is one of those authentic apps that really give a payout in gift cards and PayPal cash. So it’s a trustworthy and easy to use tool, without scams and a friendly UI. 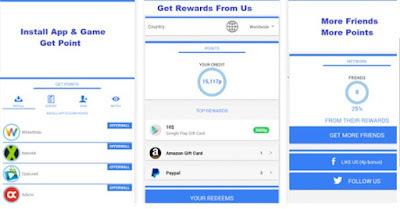 DA Rewards is a simple way to earn rewards, such as gift cards and real money. The process is really simple – all you got to do is open the app and look at its list of offers. Choose one of the offers, like download a game or an app, and jut use it for awhile. When you’re done, get back to the app and redeem your rewards! You can also earn more if you share unique links with your friends or if you own a Youtube channel, bigger blog site, Instagram or Twitter with a lot of followers or other social media with a huge traffic. The best thing about DA Rewards is that it’s free for download. You can get it by clicking the Google Play Store’s link below.